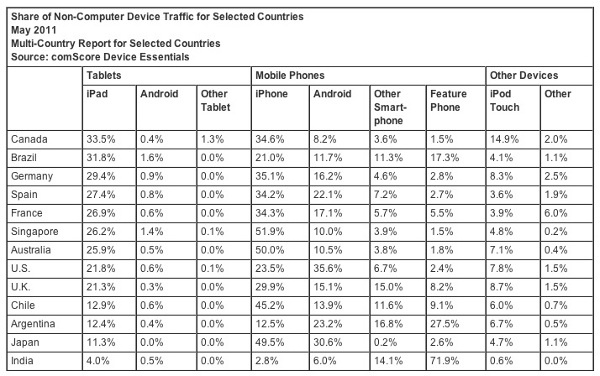 comScore has released a chart showing details of traffic from devices and connection type. According to the data released, the iPad and iPad 2 accounts 89 percent of tablet internet use worldwide in May, and 97 percent here in states. Well, this is not surprising for many of us, knowing that the iPad is the most selling tablet in US and around the world. Check the press release from ComScore to dig a little deeper and see more data charts.